HAVE A GOOD TIME! This Dia de los Muertos, you are going to party. There will be the altar building, the visit to the cemetery, the pan de muerto, the tamales, el mole, un tequilazo and much more. But most of all, there will be the celebration of our dearly departed. We will remember them, their favorite jams, and their legacy. To do all that, you got to wear something fun and relaxing too. 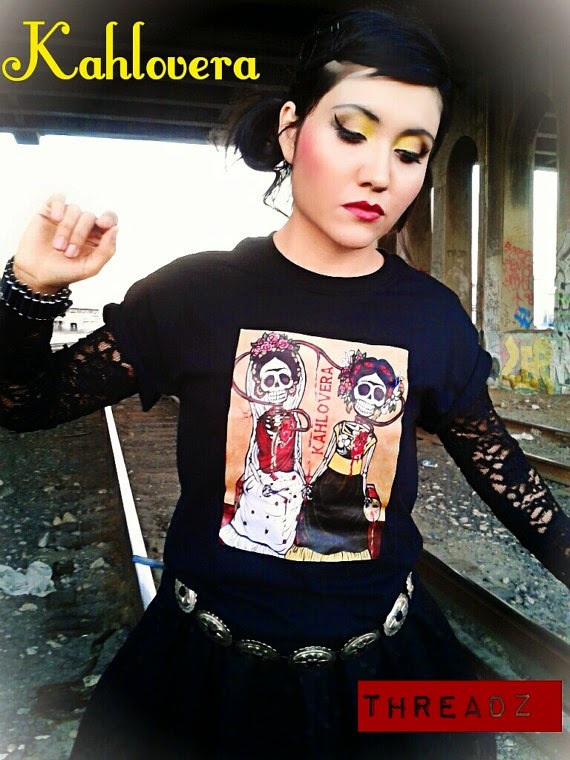 How about a dia de los muertos t-shirt? What a better way to party, be happy, & stylish at the same time. Confession time: I'm not much of a T-shirt person. In all actuality, I do not own a single traditional T. Maybe a women's cut shirt for my dance class, but that's it. 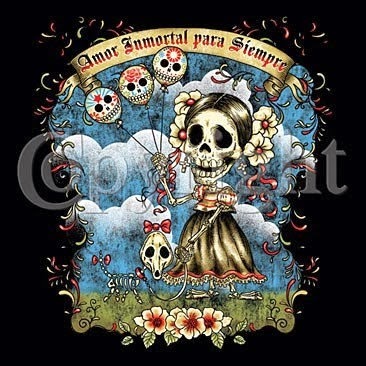 Muertos T's, an Etsy Treasury by Wink Artisans. 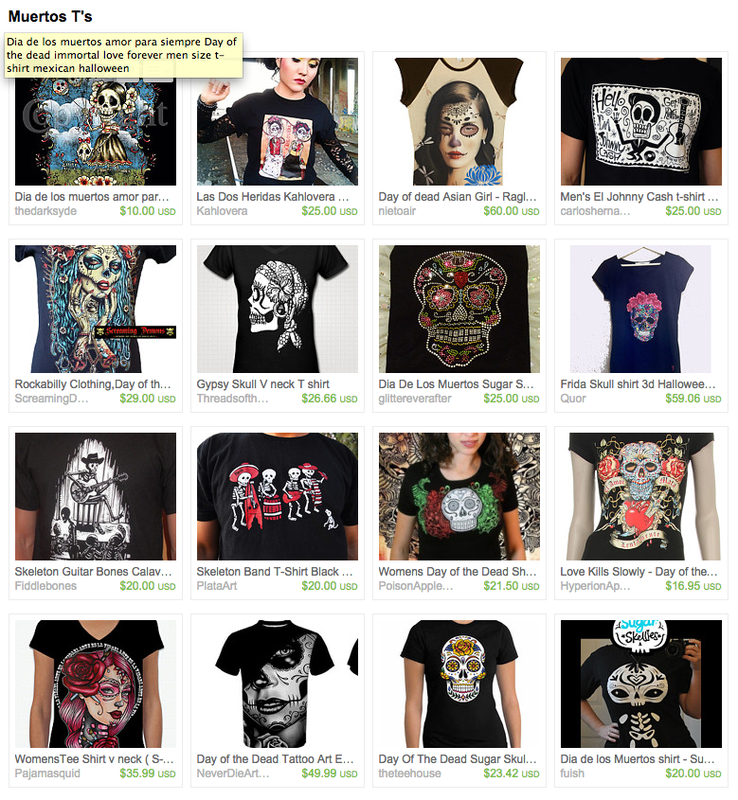 In any case, if you do wear t-shirts, check out the Muertos T's Etsy Treasury I curated. I know you'll find something for you. I'm even considering one now (Las Dos Heridas by Kahlovera is stealing my heart). As always, rock your wink! 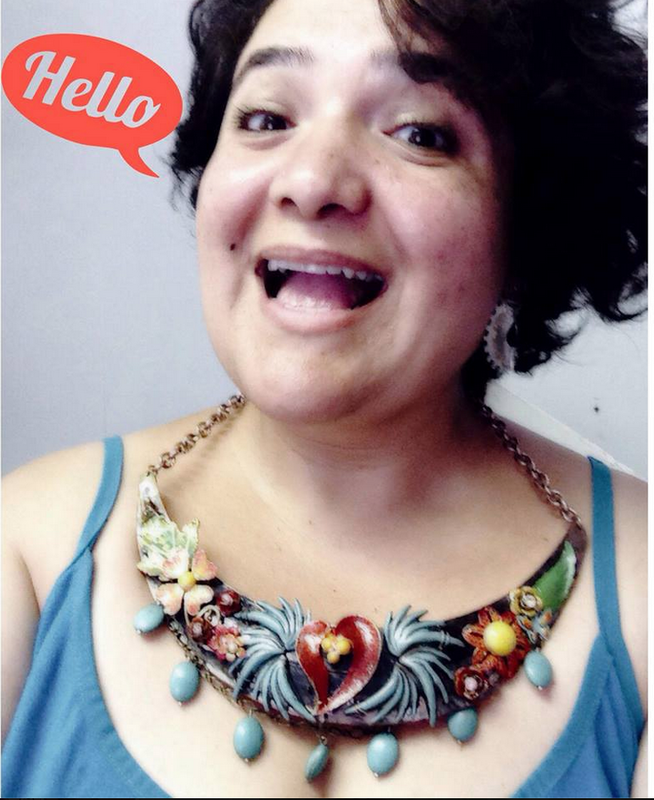 Thank you mucho Wired Redhead Jewelry. For reals, that Kahlovera is making me go head over heels!